Pedion: Last 48hrs - and SciFi PEDION Modular Terrain available! Get your own Modular Wargaming and RPG Terrain System at our E-shop! 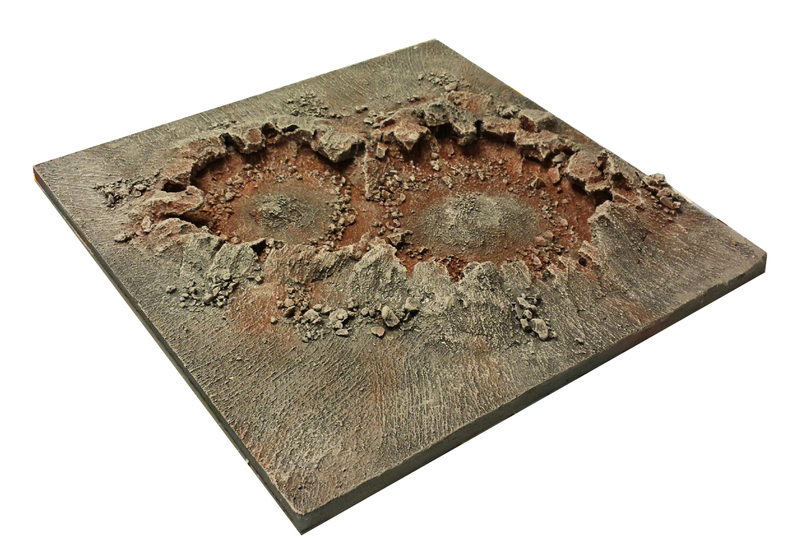 Last 48hrs - and SciFi PEDION Modular Terrain available! It is quite a thing to see your Campaign's counter reaching the "hour" format. You know that a journey is almost over, and you start planing what really matters: the implementation of your dream. "Almost" being the keyword here; a bit less than 2 whole days can be a long enough time for good, innovative things to happen! The clock is ticking. Pedion will be around, but this is your chance to get terrain in great prices and help us design even better stuff: support Pedion on Kickstarter, get the last terrain you will ever need! Why now? Because Pedion has gotten better than ever: SciFi themed ground variations have been unlocked, Urban tiles and free stuff are just a breath away, and a new, "get'em all" pledge reward level is available! How about some Science Fiction Battlefields? By surpassing the £25000 Stretch Goal, backers may order their Set and Add-on tiles in two new variations, suitable to a more futuristic/apocalyptic setting: the "Red Planet" and the "Grey Wastes". The new paint/texture variations can be applied to all existing tile types, and they Unlock two new tiles: the Impact Crater and the Artillery Craters types. The impact Crater tile includes one big crater, with the smooth style of craters cause by large asteroid impacts. The artillery craters are smaller, with the jagged edges of exploding ground. 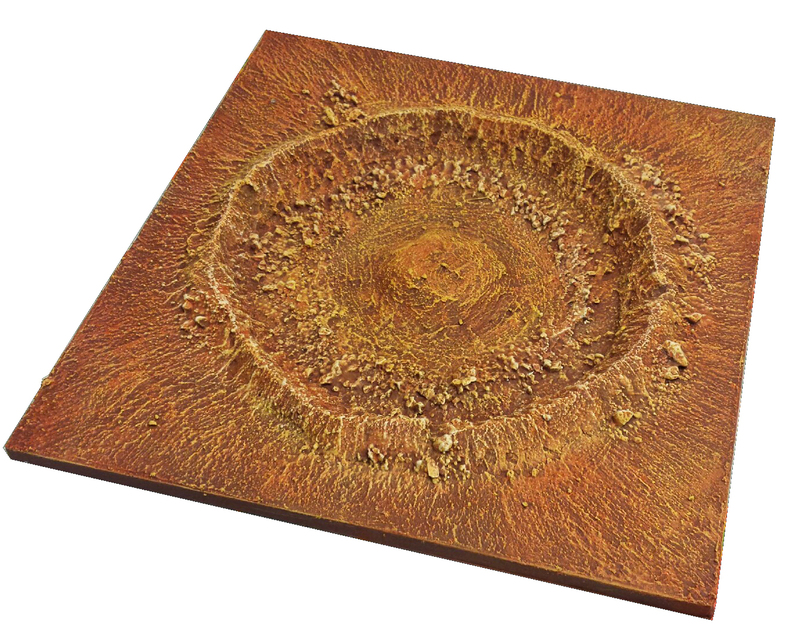 The Craters are an add-on, or you can Upgrade your Plain/Broken Ground tiles into them! You can even "fill" them with some liquid, like water or lava... ! Finally, another "upgrade" option unlocked for SciFi battlegrounds is the exchange of "normal" water on River and Pond Tiles, to Lava or Green toxic flows! The New EPIC, Kickstarter only, Pledge! 2x sets of Crop tile Fences. The next Stretch Goal is tantalizingly close! At £30000 backer will be able to add a number of tile types more suited to an Urban environment: either SciFi, Modern or Gothic, perfect for wargaming in in such an enviroment. To the existing 7cm Road width there will be another width added, 14cm; Such a wide road can easily be considered a double-lane road at 28-32mm or a highway in 15mm. 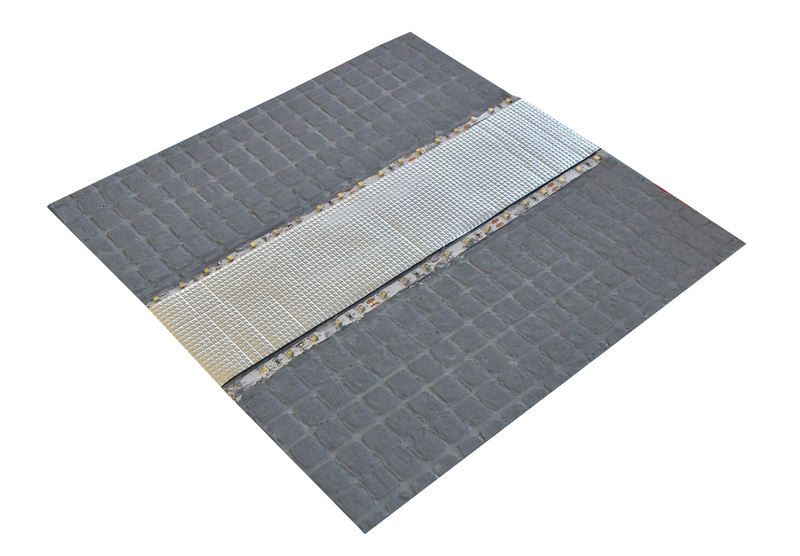 Roadsides are expanded; apart from dirt (magnetic), now three more types will be available: raised 1" sidewalks (magnetic), sloped 1/2" black/yellow caution hatch (magnetic) and the impressive 1/3" LED illuminated roadsides (non-magnetic) - read more below*. Backers can choose whatever combination of surface, roadside and tile texture for their Urban Sets. They can even choose some tile to be "transition" tiles from the rest of their Set; that means that tile on one side of the road can have an Urban texture and on the other the regular tile texture, like Grass. The Urban tiles will be available as add-ons in sets, of 2, 4, 6 and 9 pieces. What are you waiting for? Come and help us make everything true! Missed the Kickstarter? You can still pre-order Pedion Tiles! Journal #15 - Going Urban! Journal #13 - oh, those beautiful new tiles! Journal #1 - or, What I need from a modular terrain board? Journal #11 - Last chance to pre-order Pedion! Journal #4 - or, Time to show them Grass Tiles! Pedion terrain system. Simple theme. Powered by Blogger.